Mahendra Singh Dhoni is exceptional not only with the bat, but also with the gloves behind the stumps. 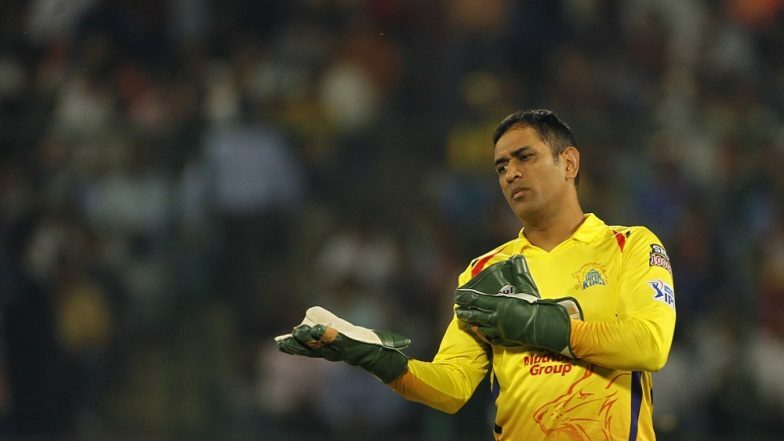 His extraordinary wicket-keeping skills - second to none - were on display once again when CSK spinners were having a field day against a struggling KKR top order. The one Knight Rider, who may not dare again to step out of the crease while Dhoni is behind him, is Shubman Gill. Check Scorecard of CSK vs KKR Here. The right-hander was sent packing back to the pavilion at a lacklustre score of 9 runs out of 12 balls. It was the first ball of the 11th over when Gill erroneously stepped out to take Imran Tahir on the front foot on a turning track. Dhoni required fraction of a second to whip the bails off in a flash. Watch video of the lightning-quick stumping by clicking here. VIDEO: @msdhoni faster than Broadband internet? Wicket No.2 for Imran Tahir. On the fina delivery of the same over, Tahir produced another chance for Dhoni to whip the bails, as Piyush Chawla came centimetres out of his crease. However, the left-hand slogger was fortunate enough to drag his feet back in due time.